The journey of Nirmal Foundation began in 2011 under the inspiration & the great vision of our founder Hon’ble Tatyasaheb R. O. Patil; who has an overwhelming enthusiastic, leadership & divine personality, without him the school may not have seen the light of the day. 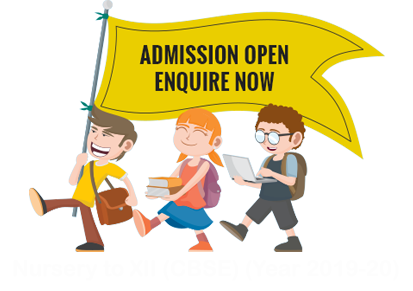 Nirmal International School is part the Nirmal Foundation, which was established with an aim to promote international understanding through quality education. The foundation has planned & will start number of institutions in near future. Nirmal Foundation was started with a mandate to “serve the needs of the common people & societies in the Pachora, Bhadgaon area & North Maharashtra. Nirmal Foundation is registered organization vide registration no. F-12546 (Jalgaon) dated 10/5/2011 under Mumbai Public Charity Act -1950 and MAH / 13298 / Jalgaon dated 14/3/2011 under Societies Registration Act - 1860. Since 2011 & till to date the foundation has been rendering & imparting it’s services in Education, Medical Relief, Religious, Cultural and Social projects & in various sectors as required by society under able guidance of our founder Hon. Shri. Tatyasaheb R.O.Patil. The Nirmal International School is just a stepping-stone for the future of students of this great country. Our mission is to offer the students a level of education that provides them with skills and confidence to continue learning at a higher level. Our focus is on developing compassionate, lifelong learners who will succeed in global community systems and structures are designed to support academic excellence, pastoral care, spiritual growth, sporting and cultural participation and achievements.